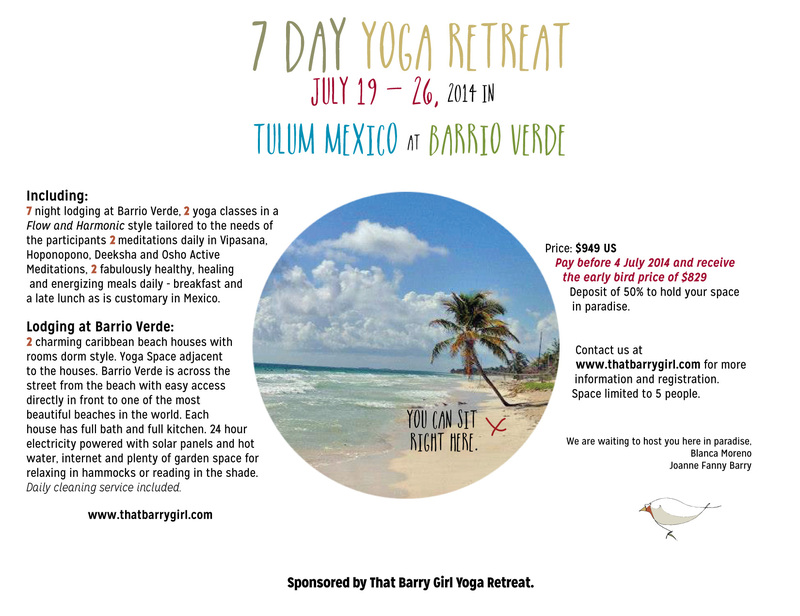 Join us for a fabulous summer yoga week in Tulum Mexico. Lodging, 2 yoga classes and meditations daily, fabulously healthy and deliciously energizing meals daily with the beach right across the street. All that and more for the early bird price of $829 until July 4, 2014. For more information contact us. Space is limited so don’t wait too long. Previous Post What some participants had to say after our 2014 Yoga Vacation.